This mini Moses Basket is Cuddly and Adorable! It's packed with Elegant baby items for the new Baby Boy. 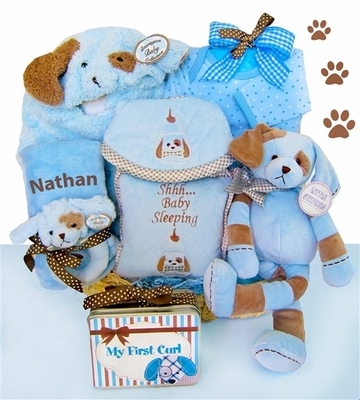 A super soft puppy coat & matching accessories will surely be the hit of the baby shower.